In travel, I’ve discovered a few things that I can always count on: New Orleans’ Café du Monde will forever be covered in powdered sugar; enchiladas shouldn’t be ordered outside of Mexico or Texas; and Four Seasons is a safe bet when looking for the best hotel in a city. And in a world where flight departures, car reservations and train schedules aren’t guaranteed, it’s nice to be able to rely on something in the travelsphere. I’ve been a Four Seasons guest on four continents at seventeen different properties. And despite the company’s 93 hotels and resorts in 38 different countries, there’s nothing generic or sterile about a Four Seasons experience. When greeted by Oliver, the laid back resident Labrador at the Hampshire property, there’s no denying you’re in the English countryside. 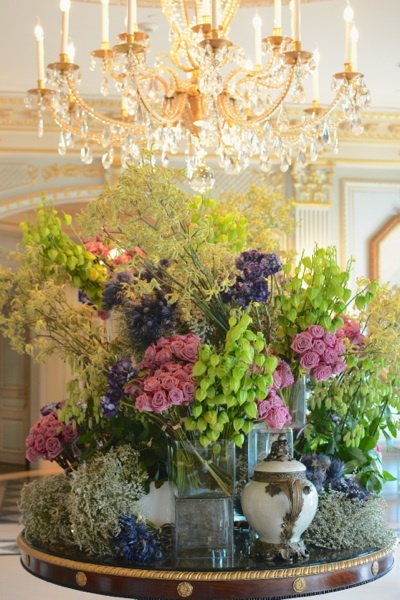 Meanwhile, the palatial George V in Paris is dripping with French elegance. Simple touches like the 100 Mile Cocktail, which is made only with ingredients found within 100 miles of each of the properties, is a small example of how the brand strives to combine luxury with local history, culture and tradition. On a larger scale, several properties reside in historically significant buildings, which have since been repurposed and restored to their former glory. Take for instance Four Seasons Budapest. 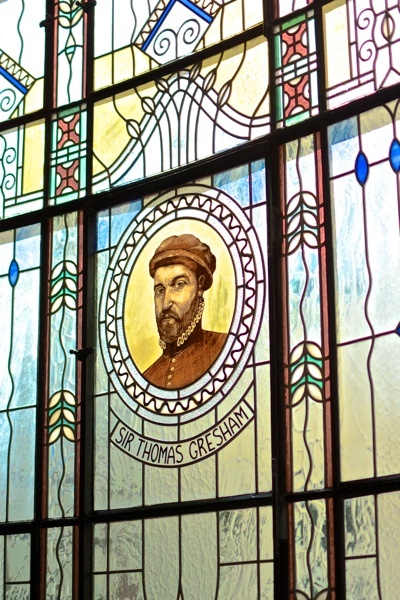 All but destroyed during World War II, Gresham Palace, once a toney apartment building and exclusive shopping arcade, remained in disrepair for nearly fifty years before Four Seasons spent five years renewing it. During the $110 million restoration, Hungarian craftsman used original techniques to preserve and replicate the original Art Nouveau design. Salvaged were the two million-piece mosaic tile floor, staircase, stained-glass floors and a wrought iron elevator. Those that remember the original building, and even saw war tanks rolling through the lobby, still stop by to marvel at the transformation. What those visitors miss (unless they’re hotel guests) are Gresham Palace’s modern additions, such as the spa, fitness facility and top floor infinity pool, not to mention all the latest in technology. 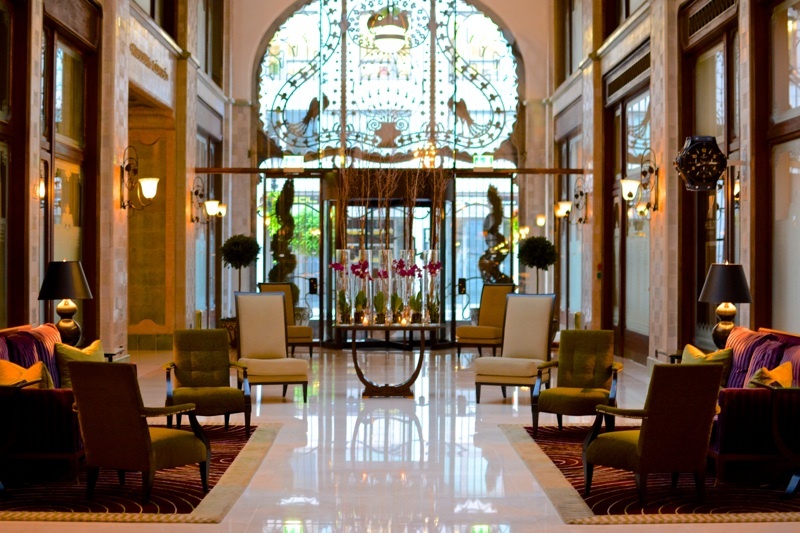 Despite war and the Iron Curtain, Gresham Palace is once again the best address in Budapest. The brand’s European properties don’t have the market cornered on historical renovations. 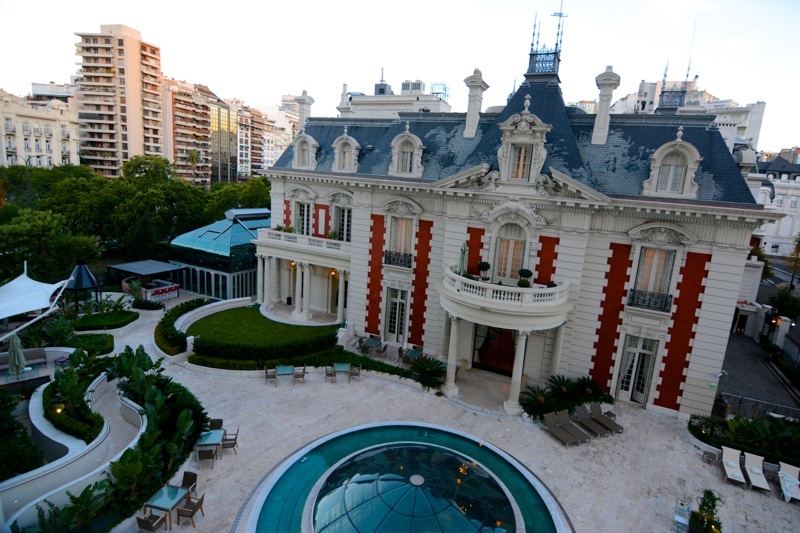 Before Four Seasons Buenos Aires underwent a year long, $49 million restoration of its modern tower in 2013, La Mansión, a historical home on property, was entirely refurbished in 2007. Dating to 1920, La Mansión was built by a wealthy South American ranching heir as a wedding present to his bride. As one of Argentina’s most beautiful historical homes, it now sits elegantly in the shadows of the contemporary main hotel building. Indicative of Buenos Aires’ French-inspired architecture, this impressive home was fashioned with the finest materials available. With many of the hotel’s suites located in La Mansión, the home maintains its Beaux Arts design, but still well-equipped for the 21st century guest. 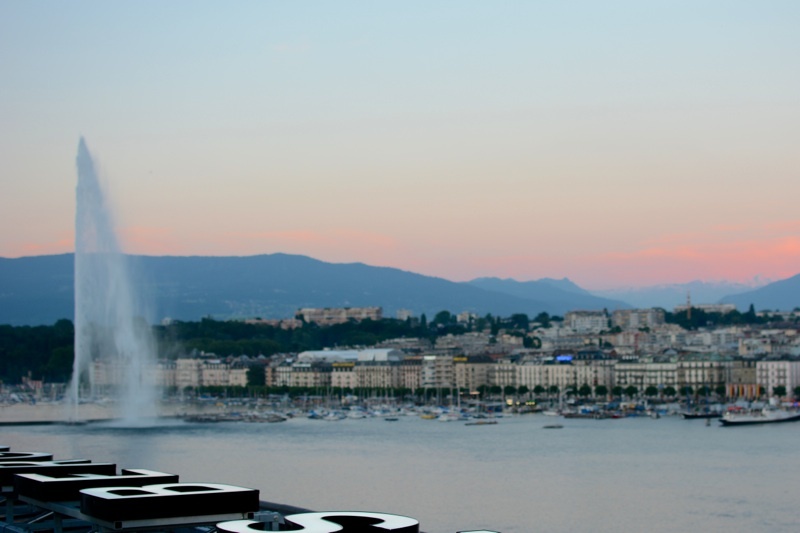 Hotels in Geneva, Switzerland don’t get more historical than Four Seasons Hotel des Bergues. It was the city’s first hotel, dating back to 1834. As a response to the increase in business and tourism, the city of Geneva carried out a beautification program that included the building of Hotel des Bergues, a neoclassical design favored during that era. Later in 1920, it hosted the first assembly of the League of Nations and was the headquarters of the French delegation. 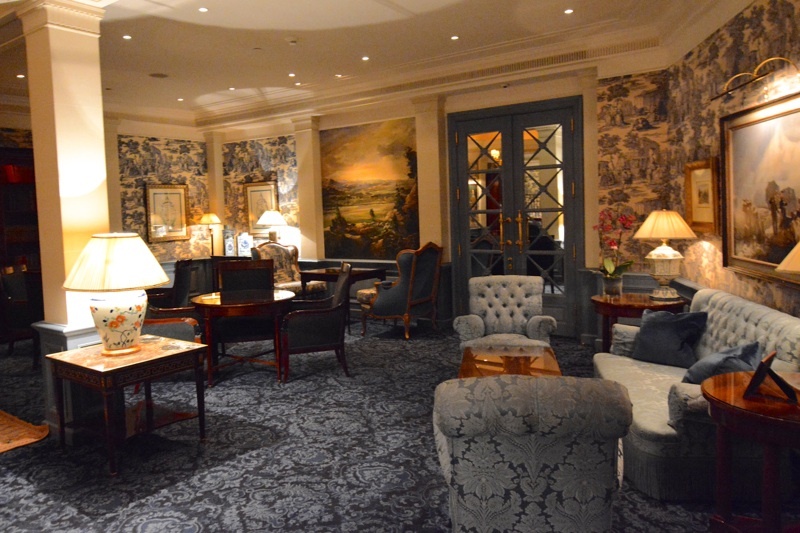 And with the United Nations European Headquarters in Geneva, Hotel des Bergues still welcomes world leaders, along with discerning business and leisure travelers. In 2005, Hotel des Bergues reopened as a Four Seasons. With no expense spared, it took craftsman and artisans almost a year of restoration, some of which used long-forgotten techniques in the process. Now, without a flower out of place or so much as a scuff on the patterned marble floor, Hotel des Bergues exudes the perfection of a luxurious Swiss timepiece. Classically French, the interior is furnished with Directoire, Louis XVI and Louis-Philippe pieces with greens and blues that echo the colors of the surrounding lake and mountains. 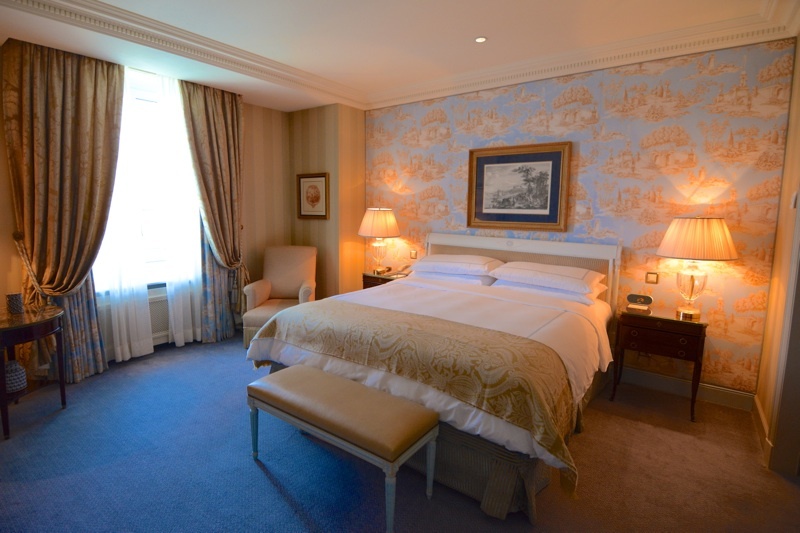 At first glance, everything about Hotel des Bergues is classic and traditional. From gilt framed oil paintings to marble statues to crystal chandeliers, this hotel harkens back to another time. However, Hotel des Bergues is also incredibly modern. Not every part of the hotel is reminiscent of a beautiful antique Lalique jewelry box, which creates a dichotomy under one roof. Take for example the Loft Suites. Still steeped in luxury and elegance, these guest rooms have a contemporary design, which is a stark contrast to the Léman Suites with their toile wallpaper and brocade fabrics. 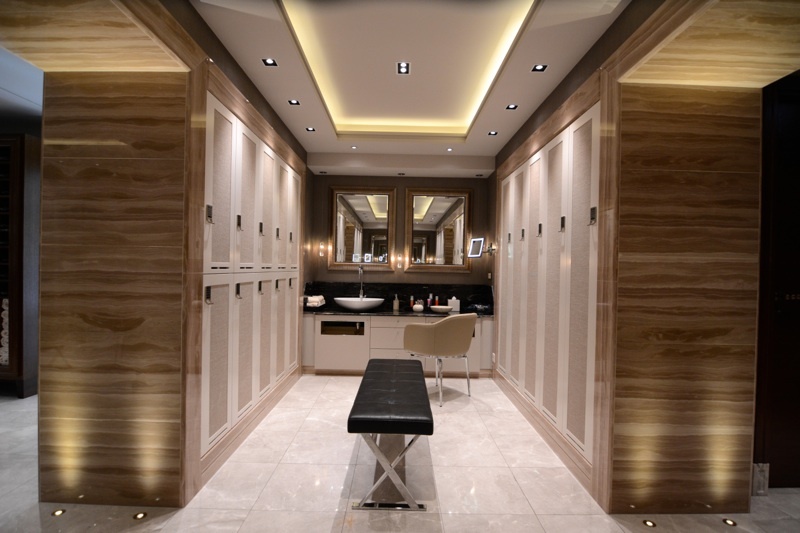 Beyond the guest rooms, Spa Mont Blanc is the ultimate urban escape. Reopened in 2013 after a three-year renovation, this modern spa sits on the top three floors of Hotel des Bergues. From Gucci chairs at reception to Turkish marble in the hammams to the heated indoor pool overlooking Geneva, there’s absolutely nothing old fashioned about this spa. Dining on fine Italian fare at the one-star Michelin restaurant, Il Lago, is exactly what one would expect at Hotel des Bergues. However, there’s another side to this traditional coin. The first thing that comes to mind when thinking of Geneva isn’t Japanese fusion or a rooftop terrace, but that’s exactly what Hotel des Bergues added in their most recent renovation. Izumi is an intimate rooftop restaurant from the same people behind Nobu in London. Serving Nikkei, a Japanese-Peruvian fusion cuisine, Izumi is a welcomed surprise for diners. 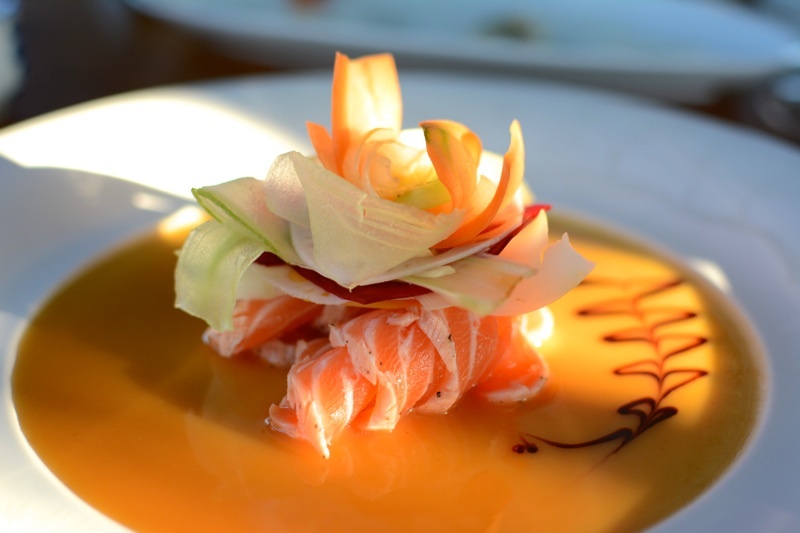 Given the 360-degree views, innovative menu, limited space (only 25 people per seating) and short warm-weather window, dining at Izumi is a coveted opportunity. As much as the brand works to preserve the past, these historical Four Seasons hotels are not museums, though they easily could double as such. 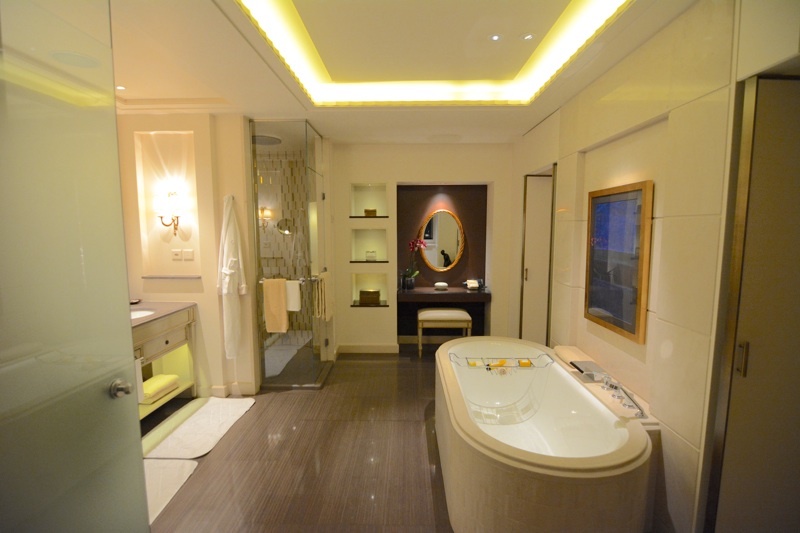 Instead, they have discerning guests who expect the very latest and greatest in terms of technology, amenities and service. Having a history that dates back hundreds of years is special, but that alone is not enough to be a leader in the luxury market. Honoring the past, yet providing stellar service and the most modern conveniences is tricky, but it’s a balance that Four Seasons brand achieves with impeccable sophistication.